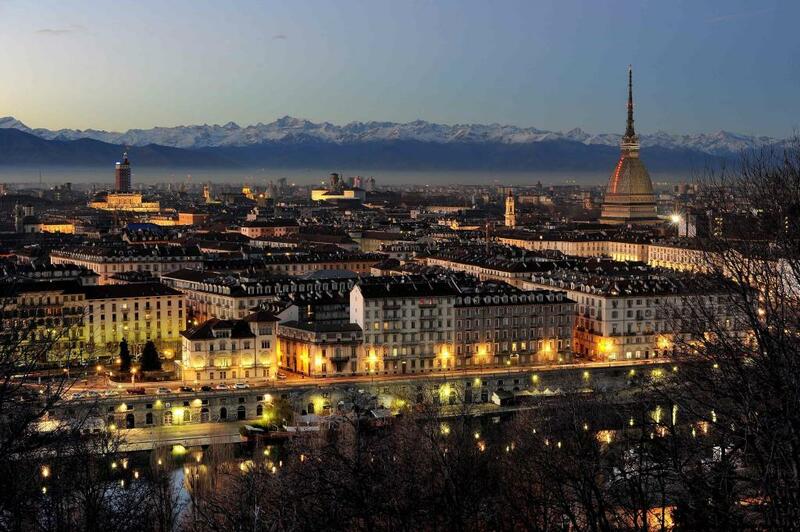 In just around half an hour (even by bus) you can reach the capital of Piedmont: TURIN, old Savoy capital and first capital of Italy. 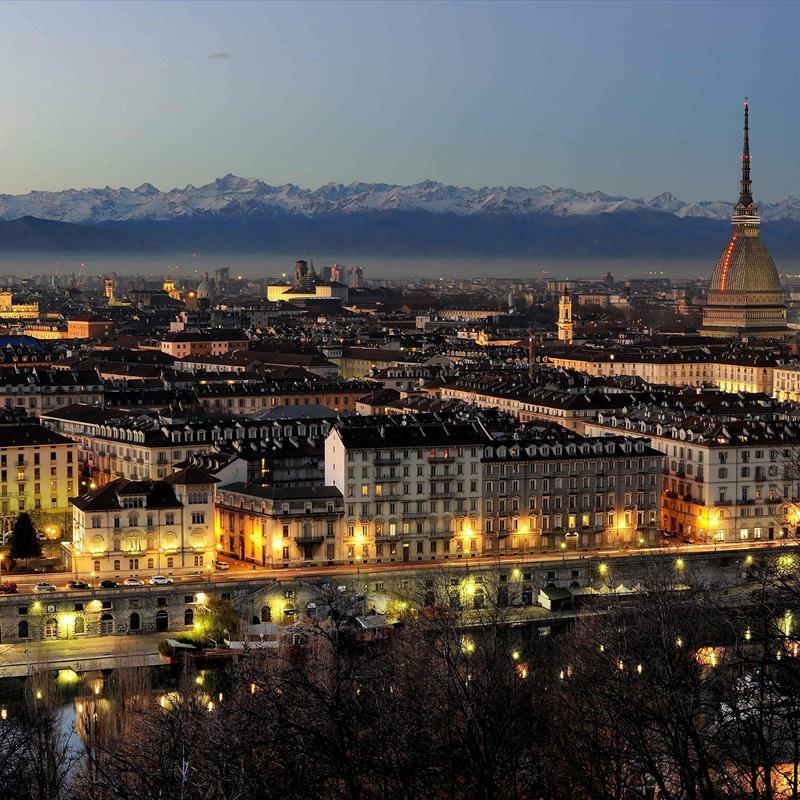 Turin is a major cultural, artistic and industrial center of our country. Situated in a beautiful location near the Alpine circle, at the foot of the green hills, it is a large modern city, characterized by an orderly urban plan, with long avenues and large squares. The old town, where you will find the most important monuments, is qualified by noble and elegant palaces. From Piazza Castello, overlooked by Palazzo Madama and Palazzo Reale, the main shopping streets, the Quadrilatero Romano, long porticoes which lead to immense squares and the river Po are just some of the beauties that most strike the visitor. Sit in the numerous and very elegant historic clubs and cafes, where in addition to enviable decoration, you can enjoy sumptuous cocktails or the famous "bicerin" (still secret drink ) whit hot chocolate, coffee and milk, served in a small glass. In the Cathedral City, is kept the Holy Shroud, the ancient linen sheet in which , according to tradition, was wrapped the body of Christ taken down from the cross. Not to mention the unique collections and museums as the Egyptian Museum, the Sabauda Gallery, the armoury and the Royal Library. Around Turin, magnificent palaces of the Savoy, were brought back to its former glory with accurate restorations (since 1997 have entered a world heritage site). 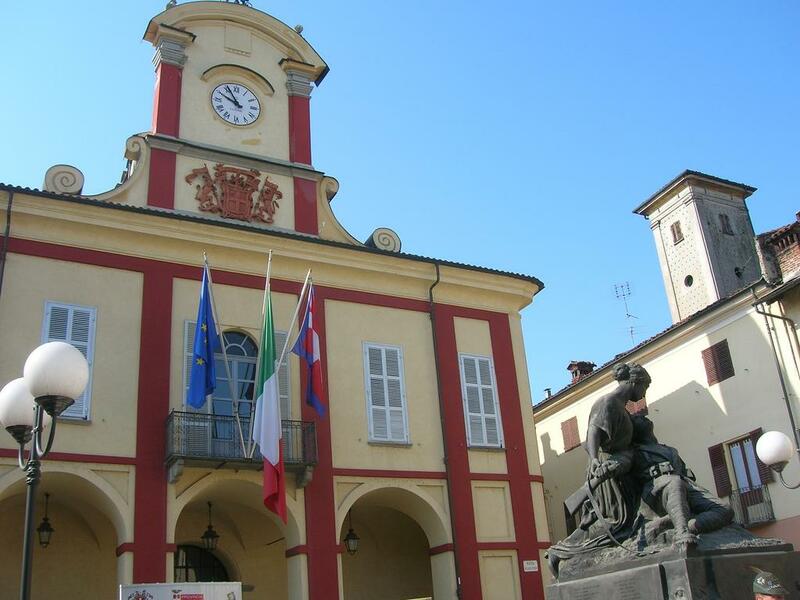 Know the Piemonte means, in addition to its extraordinary artistic monuments and monumental aspects, learn about the unique beauty with natural regional and National Parks, protected realm where you can discover unspoilt nature. 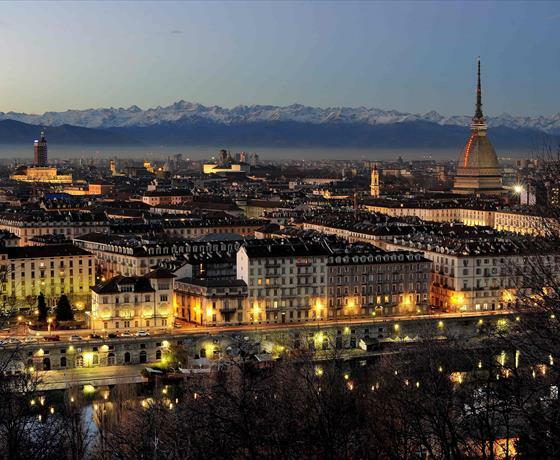 Easy to reach, close to Turin, this land keeps and cherishes its millennial past. VIGONE, an important reference point for the whole plain of Pinerolese, preserves a medieval structure with many houses decorated in terracotta, the arcades along the entire main street, Acaja towerblocks. 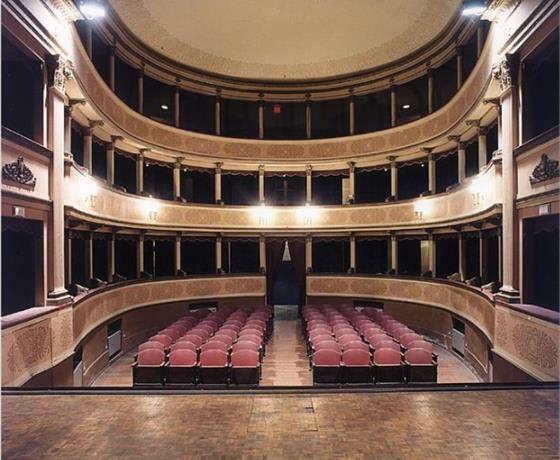 You can admire the town theatre BAUDI DI SELVE, neo-classical, sober and elegant, with horseshoe-shaped plant, built in 1855 and described as "small Carignano" for its beauty. A completely unique building is the so-called "round" located in the area of Public Avenues. It is a circular house built in 1835. Inside a deep well to conical structure that contained ice. 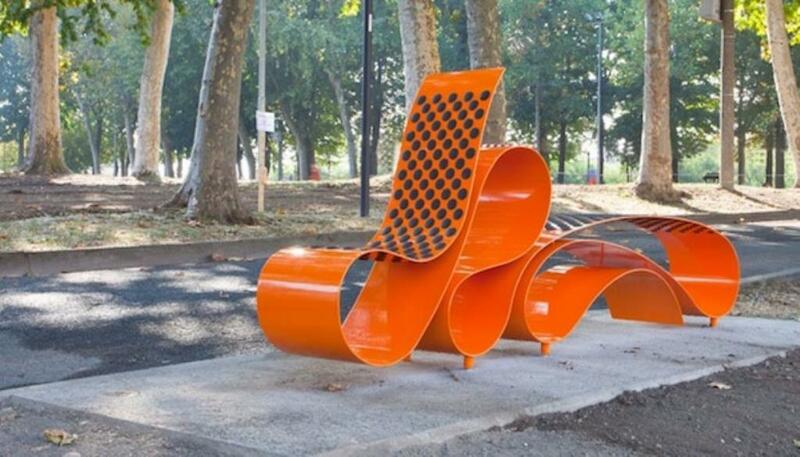 Around you can admire the "Benches", cultural project for the promotion of contemporary art that is creating an open air museum, that can be visited by anyone at any time. Throughout the year we organize many events: the weekly market on Thursdays, festivals, exhibitions, fairs, monthly flea market represent the important moments of exchange and aggregation, moments to live and see ancient traditions of this area. The location is a good starting point for excursions and visits to the most interesting places of the area. Responsible and sustainable tourism is one of the ways to protect the environment, here there are interesting itineraries (a track, reserved for pedestrians and cyclists, built on the route of the former railway Airasca-Moretta). A safe and easy path which will favour those who love travel with kids and looking for relaxation. A mainly agricultural area, crossed by rivers and streams as the Po and the Pellice, in a varied landscape. 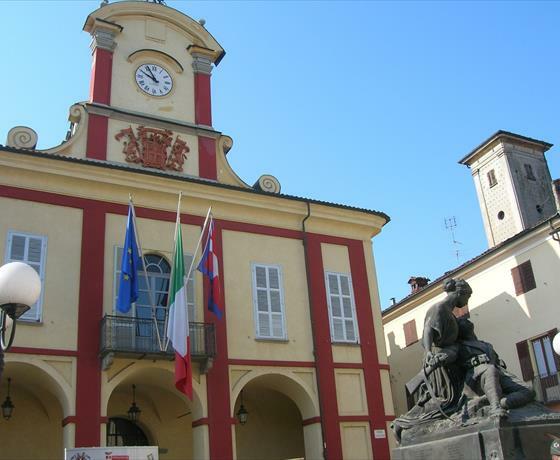 Riding on the bike path, surrounded by nature, you can take a whole network of roads linking the various villages of the Plains around Pinerolo: a path that winds through fountains, historical farmhouses, votive pillars and churches in the countryside of considerable artistic value. Don't miss the Church of SANTA MARIA DE HORTIS, built in the 9th century, with frescoes dating back to 1300-1400. On a clear day, along much of the route, the stunning peaks of the Alps as a backdrop on which stands the stone King, MONVISO. 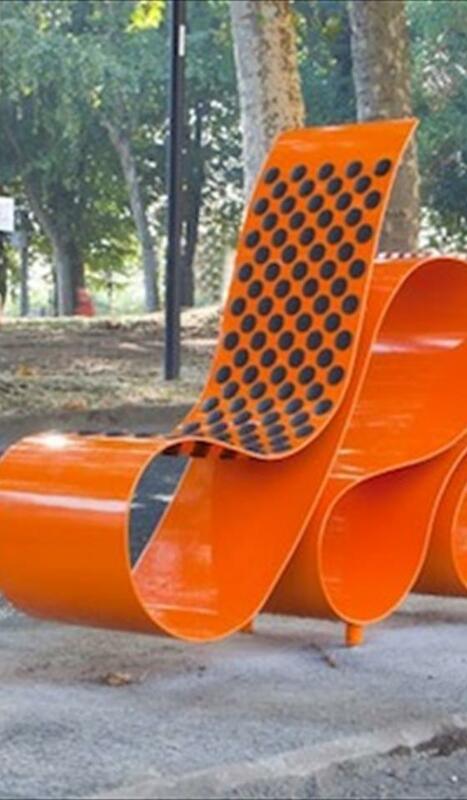 Next to biking-there is also cultural. Next to the trail of health there is the food and wine side, simple dishes of the life of the past, we recall the salami, bagna cauda, mixed fried-and finally the "paste di meliga" that can be tasted in many restaurants and trattorias in the area. Curiosity ... 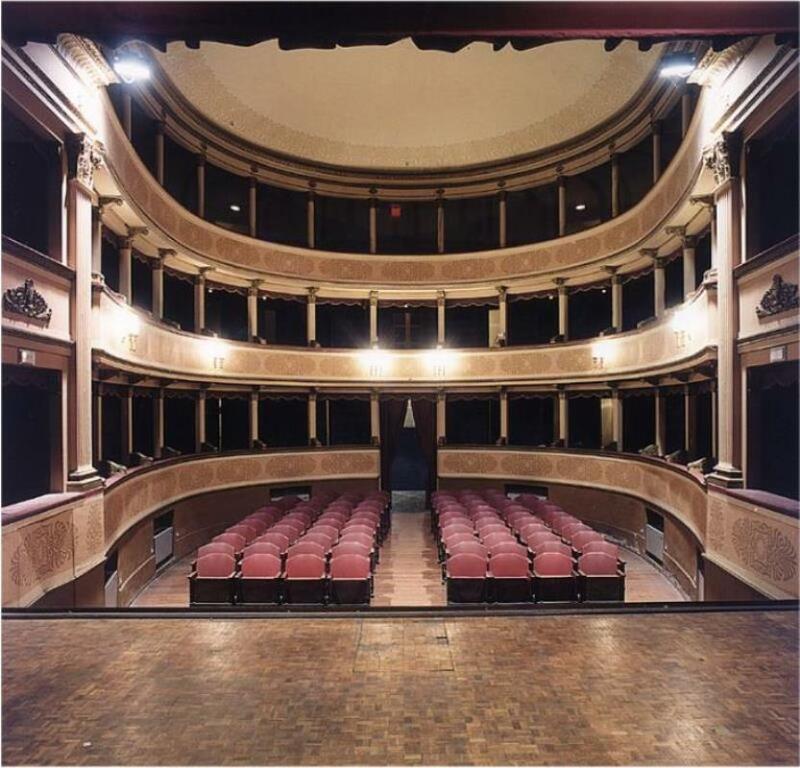 In July 2016 the theatre SELVE in VIGONE was the location of some filming of "ULYSSES," A DARK ODYSSEY "a dark reinterpretation set in a contemporary context (but great) of Homer's famous poem. The cast of the film, directed by Federico Alotto, actors of international caliber like DANNY GLOVER (became famous to the general public for co-starring role in the series "LETHAL WEAPON" alongside Mel Gibson, UDO KIER (protagonist of many Lars Von Trier's film), ANAMARIA MARINCA (in the cast with Brad Pitt in "Fury"), JESSICA POLSKI (American-born, after a stint in the US has moved and is now working in Italy) and CASSANDRA GAVA (actress and film producer, best known for his portrayal of the witch in the film "Conan the barbarian"). There were also the Italian stars like ANDREA ZIRIO (the main character who plays Odysseus), Walter Nudo (as conductor). The bed and breakfast VILLA PIETRO has hosted all of the cast: hair and makeup, and costumes, relaxing between takes and the other by the pool and garden, a short rest and relief from the heat that accompanied those days. It was very interesting to learn all about actors of this caliber and be able to communicate with them in a familiar way. What is most striking is the easy and natural way in which these actors relate to everyone. Certainly the makeup room is the one that has the most charm: in a few minutes styling your hair and makeup to become a "normal" person in an actor willing to enter the scene. The experience was very positive and interesting and the memory of those days left a concrete and tangible in our memory.